Welcome to A.V. West Real Estate. Simply put, a group of honest, friendly professionals you can trust and count on. Our only goal is to give you our undivided attention and expertise, whether you’re buying a home or selling a home. We handle the details every step of the way and help guide you by using our most important talent—listening. And getting to know you the way realtors should. The pineapple became a symbol of friendship and hospitality in Europe and America during the seventeenth century. In the eighteenth century, fashionable hostesses used the exotic and expensive fruits as centerpieces for stylish dessert tables. Pineapple designs have ornamented gateposts and entranceways, and pineapple finials have adorned silver and ceramics. 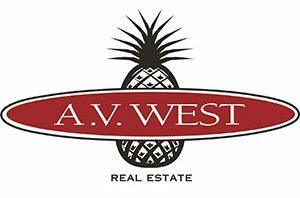 All of us at A. V. West offer you our hospitality and friendship. Remember us for all your Real estate needs.